A radio frequency to Wi-Fi interfacing solution designed to convert a radio frequency to be Wi-Fi compatible. It then enables you to receive alerts from the EM300 Pager directly to your phone, ideal for keeping your patient safe. The Medpage Radio Frequency Paging Converter to Wi-Fi Internet Hub MP-900 is a radio frequency to Wi-Fi interfacing solution, which is designed to allow you to receive an alert from the EM300 Pager directly to your phone. Using an intuitive app, you can provide either building and business security, or care home patient protection while off-site, ensuring that in the case of movement or noise that you will be instantly alerted. What Is the Medpage Paging Converter For? The Medpage Radio Frequency Converter can be used with Easylink long range transmitter products and the EM300 Pager, and is designed to convert a radio signal into a Wi-Fi compatible frequency. The MP-900 will then enable you to receive the alerts directly to your phone, giving you an alert wherever you are in the country. It is particularly suitable when you are away from the building, but would still like to keep an eye on a patient. Who Can Use the Medpage Paging Converter? How Does the Paging Converter Work? Medpage and Easylink products work by using a transmitter to transmit an alarm from pager to pager, should there be movement within the sensor field. The downside of this system is that the carer must be near the pager for it to be fully effective, as if you move away from the pager you won't hear it be triggered. 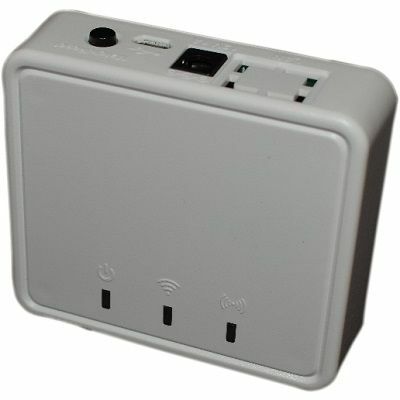 This new product is designed to intercept this signal and convert it into a Wi-Fi friendly frequency. Once it has done that, the signal will be passed onto your phone. Your only role is download a subscription-free APP, which will enable your phone to receive the alert. Is My Phone Compatible with the Medpage Converter? To pair your phone with the EM300 and make it compatible with the Frequency Paging Converter, all you need to do is download the subscription-free application to your phone. The app is suitable for all Android and iOS mobile devices. How Secure Is the Frequency Paging Converter? If you are using the device for security, then you me be concerned about security. It comes with a secure, changeable encrypted password to prevent hostile interference by other internet and data users. What Pager Will the Medpage Converter Comply With? The Medpage Converter is designed to comply with the EM300 Pager. In turn, the EM300 Pager is designed to be compatible with most Easylink transmitters that we sell at CareAlarms.co.uk. When a transmitter is alerted, it will send an alert to the EM300, which is then designed to trigger a response from the Medpage Converter. How Easy Is the Medpage Radio Frequency Converter to Use? The Medpage Converter is designed to be easy to install and easy to set up, meaning that you won't spend too much time struggling over the finer details. A full user instruction guide is provided with your purchase, and full specifications can be seen lower down the page. How Can the Medpage Frequency Converter Ensure Top Patient Care? The Medpage Converter ensures top patient care because it enables the relevant people to be at hand as soon as movement is detected. It enables you to leave the building, home or care facility without leaving your patient with no help at hand. Should they move or make any involuntary movement such as a seizure, you will be alerted and you can be at the scene as fast as possible. Why Will the Medpage Converter Provide Peace of Mind? The Medpage Converter will provide you with peace of mind, both if you're bothered about security or patient care. It enables you to leave the building without worrying about the status of the person inside. Usually you couldn't leave the building because should the patient run into trouble, you would be at hand to instantly provide the care that they need. The converter reduces this worry. Once you've downloaded the app, all you need to do is install the relevant information and you will be provided with an alert wherever you are in the world. What Are the Key Specifications of the Medpage Radio Frequency Converter?